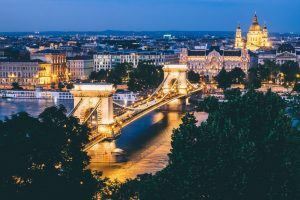 WHY HUNGARY HAS TO BE MY MEDICAL DESTINATION? Why not follow the thousands of satisfied customers from all over Europe who seek medical treatment in Hungary? It is a well-known fact that Hungary has one of the most demanding medical education in the world. Many of the English speaking doctors and surgeons are Professors of Medicine and also educate at the medical universities. Worldwide recognized high standards and advanced medical procedures are available, so you can get high level of professionalism and premium service. The clinics/hospitals are well-equipped facilities with the last equipments. Budapest is beautiful with many entertainment. Often described as the “Little Paris of Middle Europe”, not only because of the wonderful sight of Duna, the historical Buda side and the vibrant Pest side. The city is full with museums, galleries, theatres, concert halls, movie theatres, and nightclubs and you can enjoy many festival events. The best place to recovery after a medical treatment. For decades, Budapest has been enjoying the name “the world’s spa capital”. Hungary is extremely rich in thermal waters; its reserve is significant on a world scale and it is outstanding on European scale. Most of the mineral and medicinal waters contain dissolved minerals medicinal and curative powers. The people are friendly and you can get English speaker helper everywhere. Budapest is only 2.5 hour flight from UK and you can get flight ticket on a bus ticket price. Budapest is an excellent destination for medical treatment with relaxing and joyful amusement. FIND OUT MORE: WHY CHOOSE TOPREMEDY?